This is an interesting addition from Ron Sevean's collection. The WPSC AM 590 Rate Card was given to prospective advertisers to sell time on the fledgling 590 AM carrier current station. 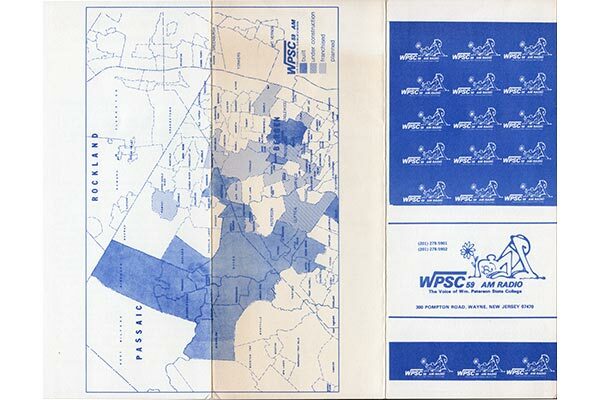 In addition to spot rates and information about the station, there is also a coverage map that shows WPSC's signal distribution throughout the northern New Jersey UA cable system. This card dates to circa 1980-1981.